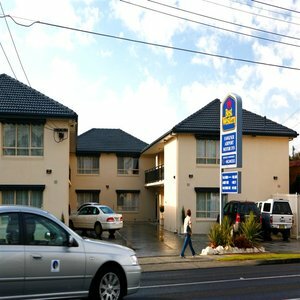 Stay at this conveniently located motel situated on the main gateway leading into Melbourne and close to the northern suburbs fast developing commercial hubs. The motel is also within easy distance to Melbournes domestic and international airports. Melbourne city center is just a 30 minute train ride away. The BEST WESTERN Fawkner Airport Motor Inn & Serviced Apart offers 3.5 Star accommodations in Melbourne. All units, apartments and villas contain the latest modern amenities to make your stay comfortable and enjoyable, such as 32-inch LCD TV's with Foxtel cable and Free Wi-Fi access. Guests staying at the BEST WESTERN Fawkner Airport Motor Inn & Serviced Apart will be ideally positioned for visiting Melbourne's attractions and major events. The restaurants and cafes of the Coburg/Brunswick area are also within easy access. For professional customer service and a convenient location near Melbourne airport, make a reservation at the BEST WESTERN Fawkner Airport Motor Inn & Serviced Apart today.